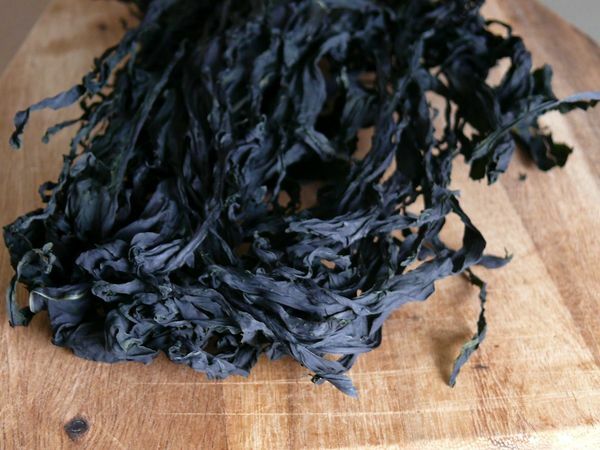 adding seaweed to boiling water almost instantly creates a broth. it imparts so much flavour, and it deepens any vegetable or miso broth i already have going. but before i added seaweed to a pot the last time, i had to stop and admire how beautiful it looked. isn't it the craziest blue? …or green? the colour seemed to change in the afternoon sun every time i turned around. Very cool! Love seaweed, in all shapes, forms and colours. Gorgeous. Where do you buy your seaweed, Yasmin? hi jess! 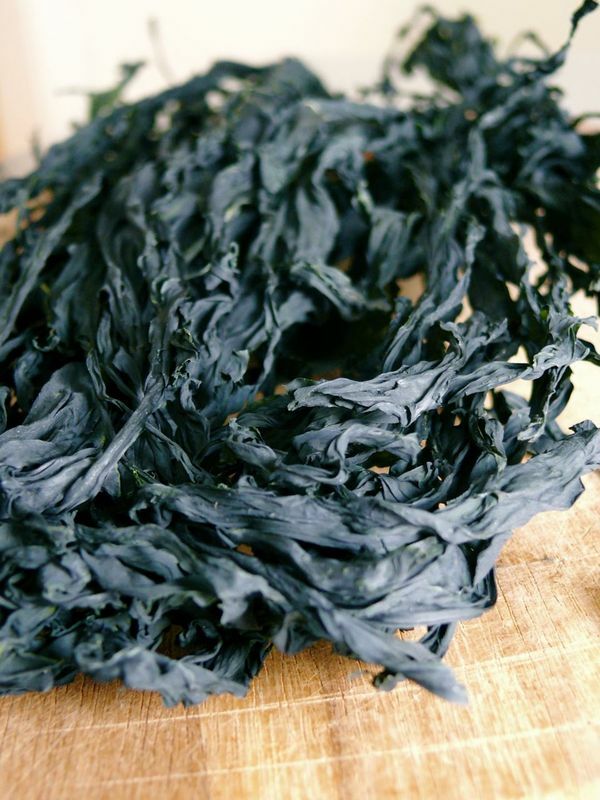 I got this beautiful seaweed at TT in a super-long bag. this lovely photo truly captures the beauty of food. I can’t eat seaweed sraight or just by itelf in a broth. In a soup it adds complex flavors and nori is great in seaweed, I just don’t like it by itself.